The dump body in the pictures is made with Hardox 500 Tuf in the bottom plate. It has transported more than 88 million lbs. of crushed rock for more than a year with very low wear. Measuring the thickness at the end section of the 0.236 in. (6 mm) bottom plate showed an average wear of only 5 percent. 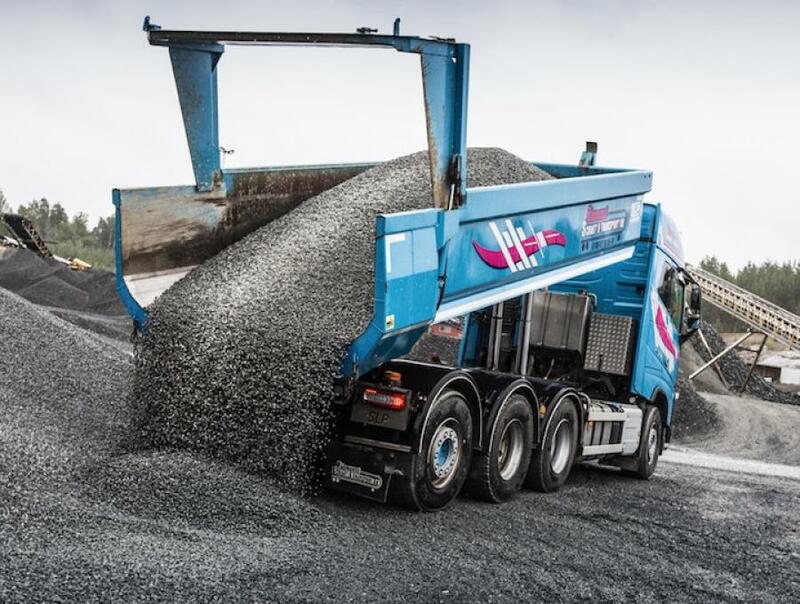 The Hardox 500 Tuf combines the best properties from Hardox 450 and Hardox 500, giving it exceptional strength, hardness and toughness in one and the same wear plate, according to the manufacturer. Hardox 500 Tuf is tough enough to perform as a structural material in heavy-duty dump bodies, and its performance also is proven in cold climates and freezing conditions. Superior wear and dent resistance allow for increased service life and the ability to withstand heavy impact. For more information, visit www.hardox.com.